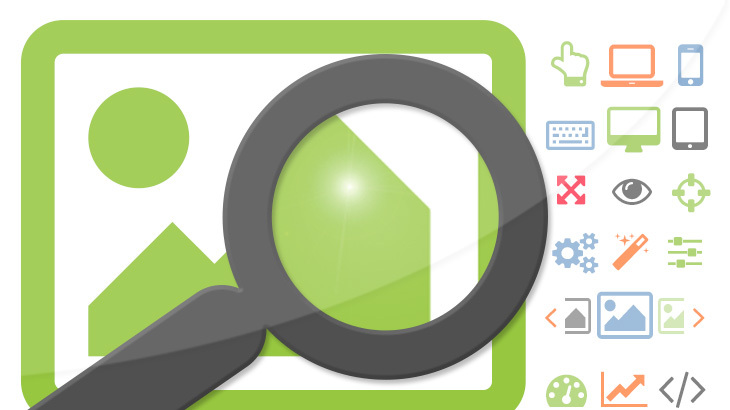 Orange35 Team is happy to introduce a brand-new SuperZoom Extension for Magento Platform. It is a plug-and-play solution that will add a new useful feature to your online store. So, you can choose the proper one to your products to make them look the most attractive. Furthermore, box, you can also enable Scroll Zoom, which allows customers to zoom the picture in and out, using the mouse wheel and thus viewing all the details. As you see, SuperZoom for Magento provides an unbeatable feature and that is not all. SuperZoom provides very flexible settings which will satisfy even the most whimsical tastes for the store owners. You can change the lens size, window height and width and much more inside. Also, this extension offers an opportunity to make your products glow using a Tint Effect. Simply set the color which will light up the product image and attracts improve click-through rate with an engaging animation. The other feature of SuperZoom for Magento appears to be a PhotoSwipe functionality. Customers will be able to see product images in an eye-catching and user-friendly photo gallery. Moreover, the product thumbnails are also zoomable on mouseover. So, check the SuperZoom demo to understand the benefits of this extension in action. After, simply visit our store and purchase Magento Super Zoom Extension for as low as $49 per single domain license.